Galerie Durand-Ruel et Cie., Paris (acquired from the artist, December 1900). Durand-Ruel Galleries, Inc., New York (1901). W.E.L. Dillaway, Boston (acquired from the above, 1903). Private collection, California (circa 1960). Private collection (by descent from the above); sale, Sotheby's, New York, 8 November 2007, lot 252. Paris, Galerie Durand-Ruel et Cie., Oeuvres récentes d'Henry Moret, May 1901, no. 21. 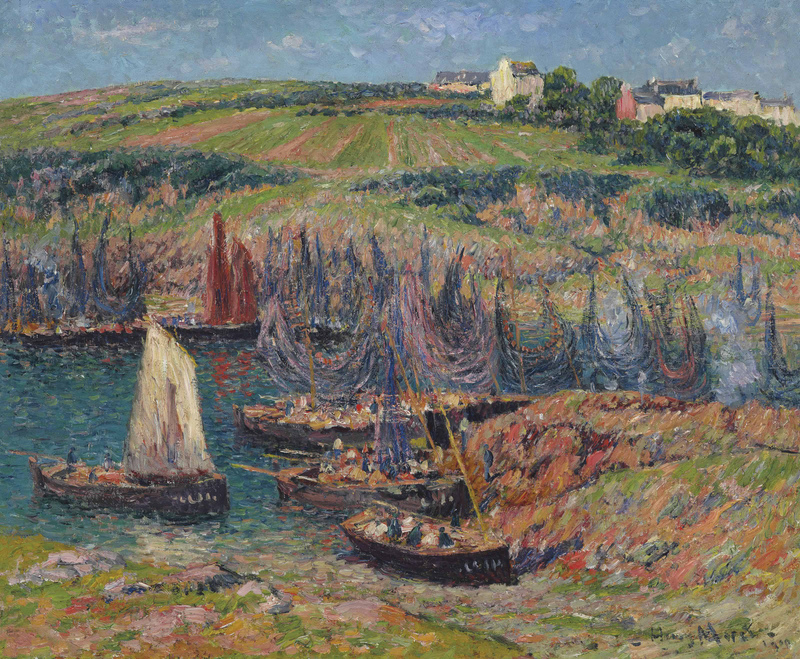 New York, Durand-Ruel Galleries, Inc., Paintings by Henry Moret, 1901, no. 19. Jean-Yves Rolland will include this work in his forthcoming Moret catalogue raisonné.